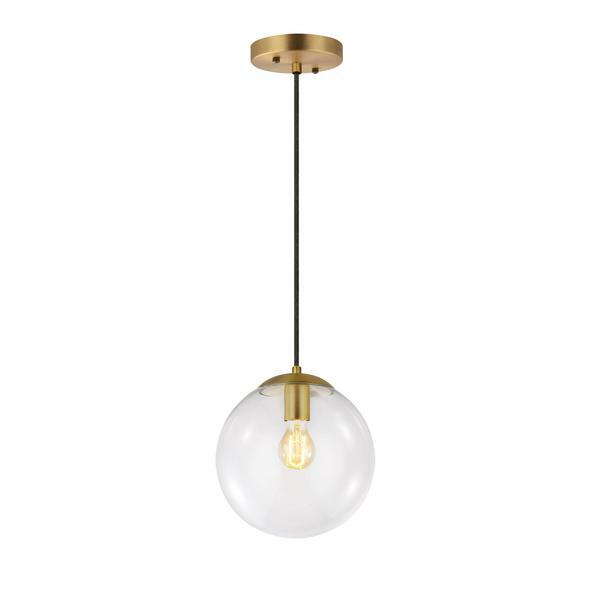 The Marie Globe pendant has a beautiful clear glass shade and sophisticated brass finish over iron with a black fabric cord. 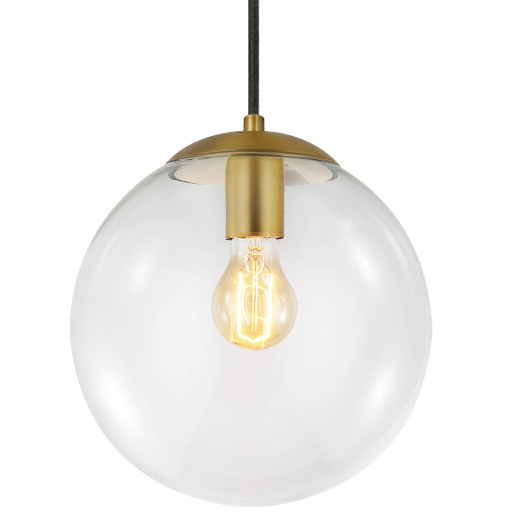 Add a contemporary flair to your space with this globe pendant. Requires 1 medium-base (E26) light bulb, 60W max (not included.) Select in clear or white glass.